The six-tube timepiece is designed using original commercially made R|Z568M nixie tubes to provide a uniquely minimalist industrial appeal. Pairing retro with innovation, we’ve also built-in touch-free automatic syncing and restoration following typical outages or interruptions. 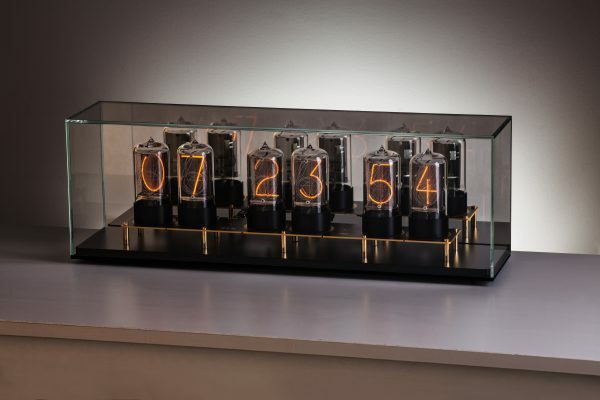 You’ll be hard-pressed to find home or office decor able to command as much attention and conversation as does the Zen Nixie Clock. The six-tube timepiece is designed using original commercially made R|Z568M nixie tubes to provide a uniquely minimalist industrial appeal. Pairing retro with innovation, we’ve also built-in touch-free automatic syncing and restoration following typical outages or interruptions. Each Zen Nixie Clock comes with a comprehensive 10-year product warranty. 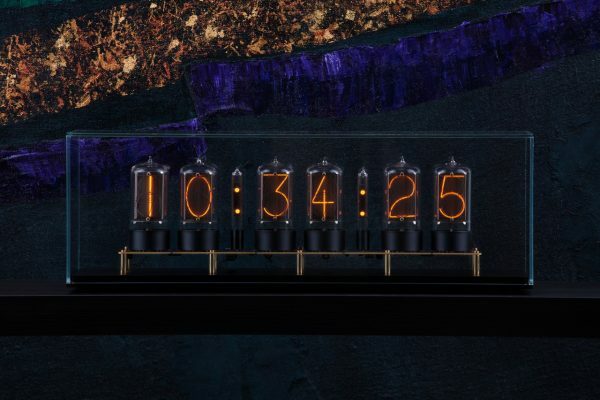 A Zen Nixie Clock is an original crafted to order by hand with exquisite attention to detail. 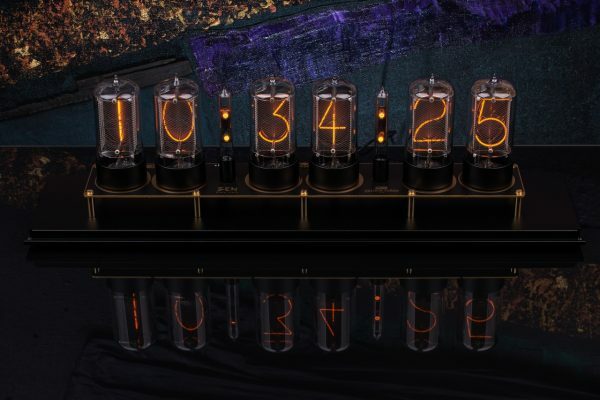 It’s the largest Nixie clock currently available on the market with digits 50mm in height. OptiWhite glass used for glass cover optimizes clarity and minimizes green tint produced through standard glass containing iron. 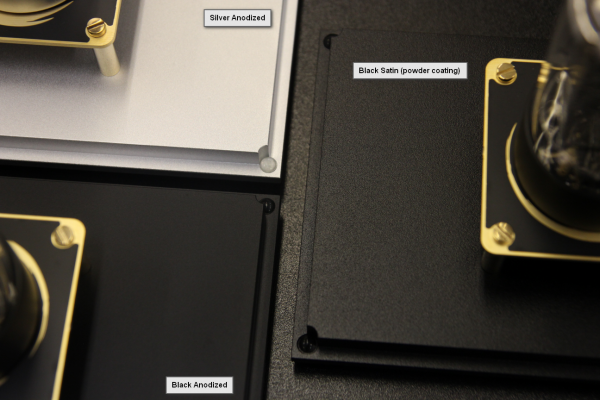 Choose premium scratch-resistant black anodizing for a smooth, even surface with fine texture. 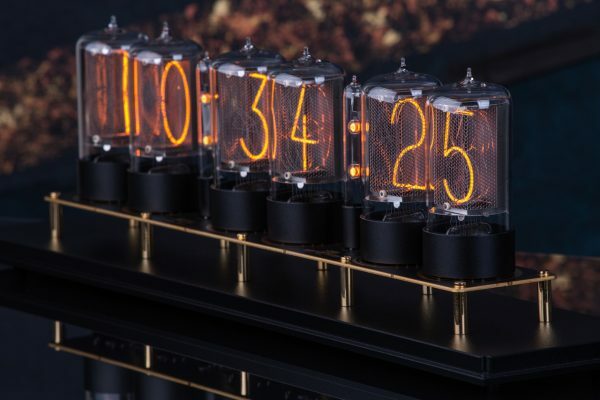 Its stand and parts are crafted to enhance, not detract from, your clock’s natural charm and its stunning nixie tube display. 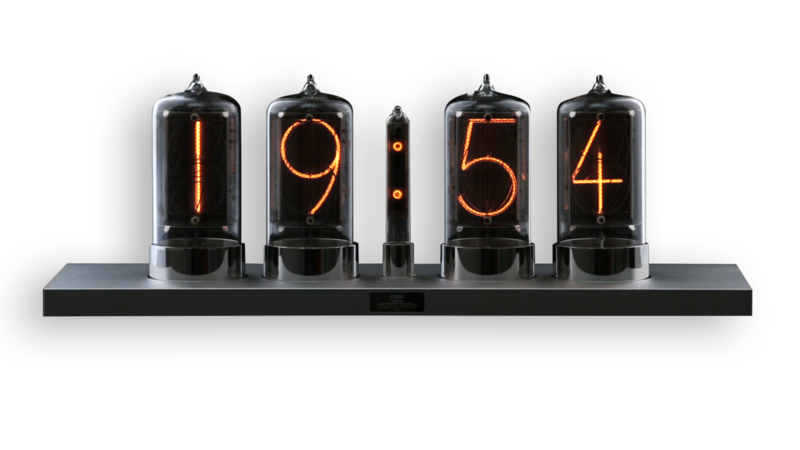 In the 60s and 70s, nixie tubes were used on digital display of high-end scientific equipment. But soon LED and LCDs took their place. Inspired by the originals that were manufactured in East Germany, our R|Z568M nixie tubes offer just the font, structure, and proportion needed to act as a perfect backdrop for our original timepiece. 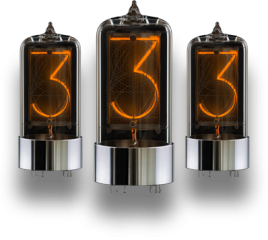 We’re proud to be the only company worldwide making nixie tubes. Resurrect an important era with a showpiece that employs the same vintage vacuum tubes that drove major advancements in science and technology of yesteryear. Maintaining accurate time should be simple, minimalist, no-maintenance, and no-touch. That’s why we designed the Zen Nixie Clock to sync effortlessly via WiFi for hassle-free control. Enjoy automatic synchronization with your web-based administrative panel for easy-to-maintain accurate time regardless of interruptions or outages. Simply log-in for initial set-up and let it go. Adjust online for daylight savings and modify time zone or visual effects from any internet-connected computer, smartphone, or tablet. 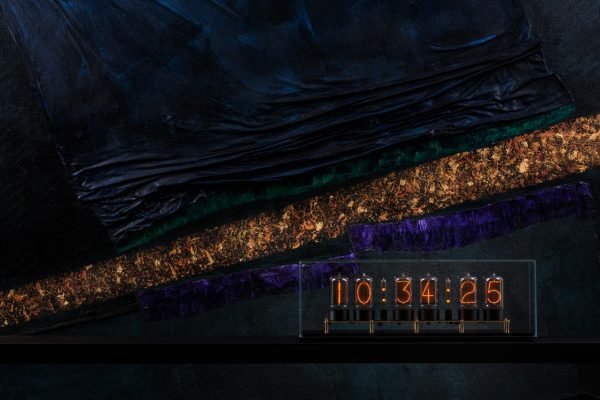 It’s quite possibly the easiest clock you’ll ever own. Internet connection – the clock contains a wifi module and is designed to operate online. The time is automatically synchronized from network, so you don’t have to do it manually and there are no other devices necessary (no GPS modules, radio modules etc..). In case of power loss, the clock remembers all the settings and time will be synchronized automatically from internet. Easy online settings – all settings of the Zen Nixie Clock can be controlled online from your user account on our website. No need to search for user guide everytime you want to make a change in settings! Silent circuitry – the clock is absolutely silent, there is no audible noise produced by its electronics. 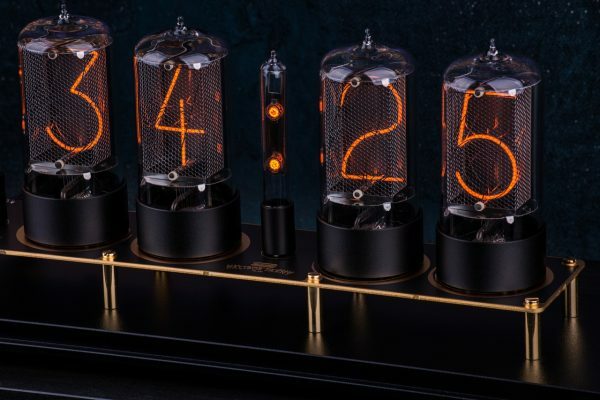 Direct driven design – nixie tubes are driven directly, this prolongs their lifetime. Common practice is to use multiplexed driving circuit (which is easier to manufacture and cheaper), but such a driving circuit shortens nixie tube lifespan. Cathode poisoning prevention – the clock can periodically run a cathode poisoning prevention routine, called “slot machine effect”. This helps to keep all digits of all tubes in good condition. Otherwise, the unused digits could stop working properly. Rotary knob – for offline users, there is a rotary knob on the back of the board. Using this knob, user can enter into settings menu and do the settings manually. Online firmware update – the integrated wifi module makes online firmware updates possible. Whenever there is a new firmware update (new features, bug fixes), your clock can be updated remotely. Colon tubes – the clock support our colon tubes (in development), they will match design of the nixie tubes (by base and internal structure). RGB underlight – there are 8 RGB leds (WS2812B – “neopixels”) on the bottom of the board which make some cool effects possible. Purist customers who prefers nixie tube glow only can set the underlight off. Our goal is to make products that lasts. Therefore we provide 10 years of waranty for our tubes and software.